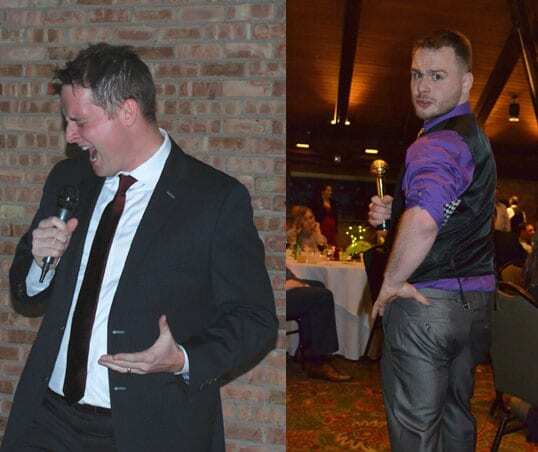 In the first-ever Evo Lip Sync Battle, Anthony Lavere and Michael McCord, were voted by the team to compete for the Golden Microphone Award at our year-end celebration on Friday, December 16th. The amount of applause was our measure on the level of difficulty and dance styles. Anthony won the Lip Sync Battle by a narrow margin with his smooth dance moves. Get in touch today to work with our talented team!